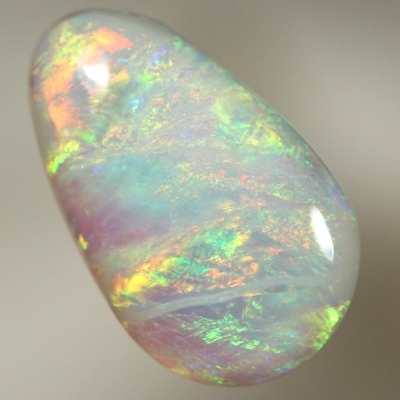 This SOLID WHITE Opal is from the Lightning Ridge mining fields in <?xml:namespace prefix = st1 ns = "urn:schemas-microsoft-com:office:smarttags" />Australia. Bright candy red and fresh orange move gently over a background of tropical blue with a touch of sparkling green. Colour shows all of the time.